Use Coupon SAVE16 - 16% Off Eligible Optics & Accessories from Top Brands! *Excludes sale, used, demo and closeout items. This offer may not be be used in conjunction with other offers and special discounts. Burris Riflescopes fill the quintessential shooter’s way with tactical choices that keep him covered with unfailing certainty. 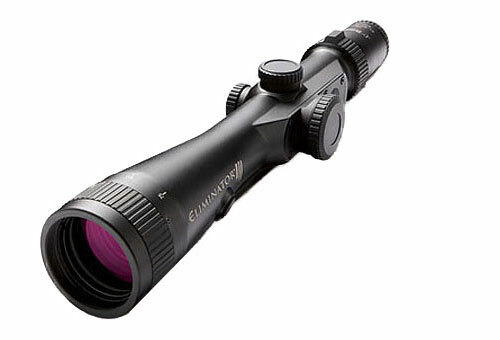 The lineup of rifle scopes from Burris comes with premium features and offers close range precision as well as long range capability. Each Burris scope is capable of prevailing in different types of weather, climate and lighting conditions, and delivering uncompromised performance in competitions, combats and more. And this is primarily because the brand has a deep understanding of the shooting arena and the requirement of hunters, shooters, tactical users, sport shooters and professionals. Some of the highlights of Burris scopes are lenses with large diameters that collect more light and resultantly deliver brighter images. Many of its models have 40 % larger lens diameters as compared to competing one inch rifle scopes. This along with superior optics with HiLume lens coating helps generate high light transmission. This is further complemented with a good number of lenses and impeccable craftsmanship to minimize distortions. The combination of repeatable adjustments, steel on steel systems, audible clicks, 6061T6 aluminum construction and double spring tension take the scopes to a higher level. In addition to that, they are totally waterproof and fogproof, and 24 times nitrogen purged for utmost moisture elimination. The rifle scope range includes Burris Fullfield Tac30 Scopes, Burris MTAC Scopes, Burris Xtreme Tactical TM XTR Scopes, Burris Black Diamond Scopes, Burris Eliminator Laser Scopes and Burris Fullfield E1 Scopes. Burris scopes are premium and yet available with options for different budgets.